With each passing year, it becomes more and more imperative that we understand the importance of remembering the Holocaust and the factors that led to six million Jews being executed by the Nazi regime, said President Michael D. Higgins at an event in Dublin’s Mansion House marking the 74th anniversary of the liberation of Auschwitz. Among those present at the event were three Holocaust survivors, Suzi Diamond, Tomi Reichental and Walter Sekules, as well as Jadzia Kaminska, representing her father Jan, who is the fourth Holocaust survivor living in Ireland. Also gathered in the Mansion House were second- and third-generation survivors. The President told them they were “critical in helping us to bear witness to a dark and tragic chapter of the past”. 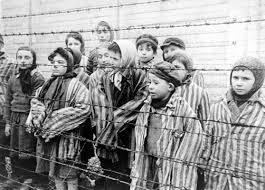 Between 1940 and 1945, in Auschwitz alone more than a million people were systematically murdered, with President Higgins noting that while the victims were predominantly Jews, they also included Communists, homosexuals, Romani people and trade unionists. One reason why it is important to remember the Holocaust is that there is “a growing rise of various forms of corrupted and distorted nationalism on virtually every continent”, said the President. “Countries across Europe have seen a rise in electoral support for political parties declaiming an extreme, exclusionary message. Refugees, immigrant communities and other minority groups are increasingly viewed as a threat to the rights of the majority and many achievements by those who have fought tirelessly for human rights are under threat by a new generation of extremists who view those universal rights as a threat to their own individual rights. The poison of anti-Semitism is not absent from their rhetoric. Looking back at “the huge stain on human history that was the Holocaust”, President Higgins said it was possible to identify the separate stages that culminated in the mass murder of six million Jewish people. He added: “As anti-Semitism and racism once again begin to rise across Europe we must remember the Holocaust collectively and work together to ensure that hatred and inhumanity [are] not allowed to once again spread [their] dark shadow across Europe and the world. “On this Holocaust Memorial Day and at a time when democracy is once again being challenged by populist leaders, let us commit to remembering the atrocities of the Holocaust and the intolerance, prejudice and denial of the dignity and rights of the ‘other’ which had led to it.